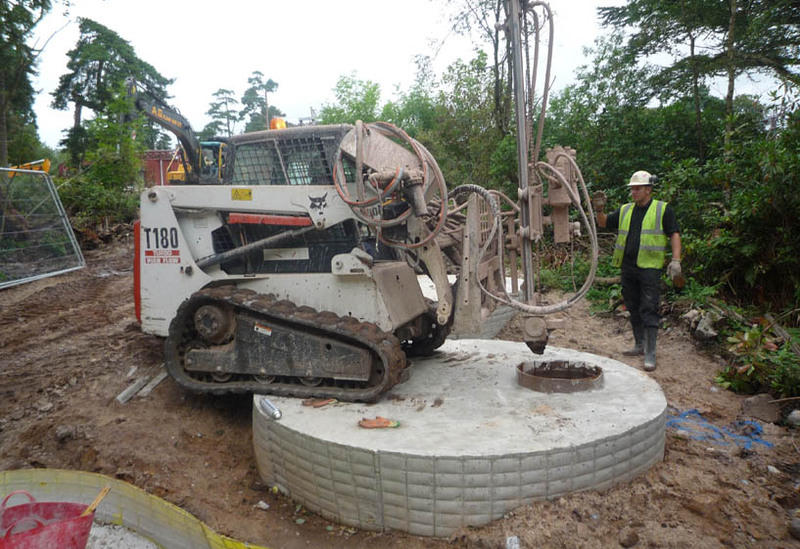 Condor Projects operate a wide range of percussion and rock drilling equipment, from simple anti-vibration hand held drills or frame-mounted machines to 17 tonne self-contained drilling systems for furnace and anchor drilling. 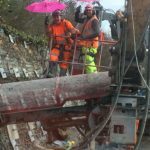 A frame-mounted machine is commonly used when drilling non-reinforced concrete or brickwork. Percussion and rock drilling use a hammer action technique which vibrates the material loose with steel or tungsten carbide tips, clearing the hole as it proceeds. The small drills are commonly used for dowel bar insertion and resin anchors, due to the rough sidewalls that are left once drilled. They are preferred by engineers as the roughened surfaces provide a key for resins and compendious grouts. With the larger machines, the access and ground conditions dictate the drilling system to be used. Typical options include Down-The-Hole (DTH), hammer, Overburden Drilling Systems (ODS), flight auger and Duplex systems. For smaller diameters, restricted access and shorter anchorages, the bespoke compact drifter rigs built and modified by Condor Projects are ideally suited. Condor Projects use the wide selection of drills available for such diverse operations as drilling through rock and mass material to the drilling of tapholes on blast furnaces without the use of water flushing. The dry drilling of a taphole is a world-wide unique operation to Condor Projects.